Well, here's another lopsided end game shot from a different game! I set up and played Fire Team this weekend after getting a sudden craving for some good ol' squad-based tactical action. It wasn't even close. 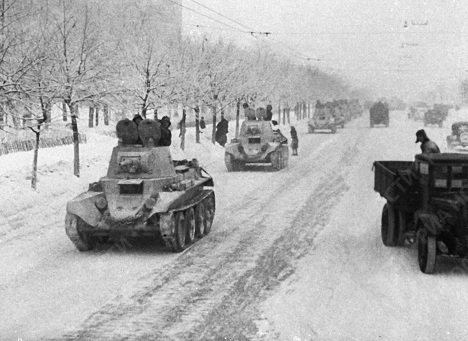 The Soviets started off on the road north of Ehrenberg with three platoons facing off across the street from two American squads. The Russians simply steamrolled north towards the bottom of the map, calmly rallied after collecting some Fear and then popped smoke and headed into Rasdorf. You're not supposed to use smoke in this scenario (and now I can see why) but that seemed too gamey so I played with it anyways. Although the Soviets already had the 6 VPs needed to win by the beginning of turn 3, I kept playing just to see what would happen. So basically, I was going to write a really long blog post about playing USE but I think this image sums up best what happens if you go ahead with your plans to invade Russia in the winter of 1939. Not pretty at all for the Germans. Well, I thought I would at least give the campaign game of Unconditional Surrender! World War 2 in Europe a shot so I've set up and started to play this weekend. The game started in September of 1939 with a variable setup, which basically means that the German player rolls a die at the start of the game to determine where he will attack first. In my case, I rolled a "3" and the result was that Germany was going for an East-First strategy. 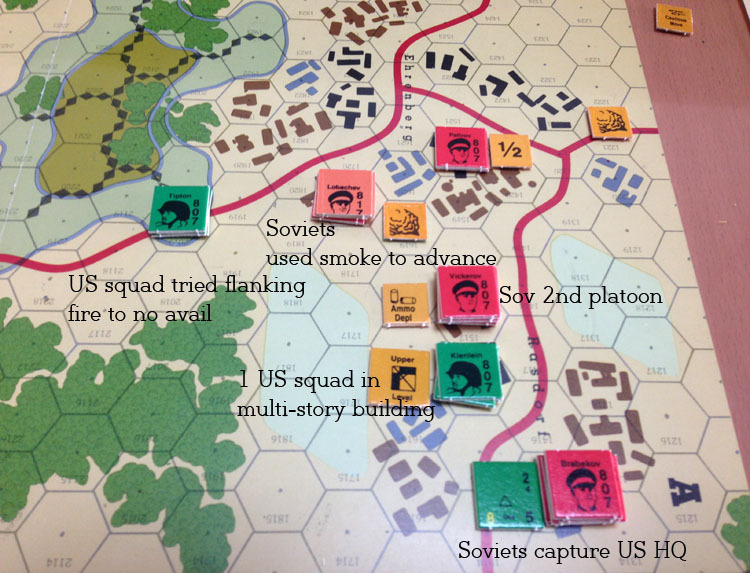 I had set up the counters in their historical locations and chosen a variable entry for unit mobilization. All that was left to do was to start moving counters.